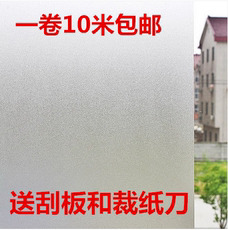 The glue process, meaning glue-free and a concept of mobile phone electrostatic film, does not require glue to fix. Glue-free electrostatic cellophane is attached to the bathroom window, will the wind blow off? One truth is that you don't need to use a tape. Note that there should be no water on the glass when pasting. Is the window glass film good with glue or static electricity? Can I see the inside from the outside of the toilet window? A: I heard that the glass glass is as low as a plastic bag. Go to Taobao and have a good glass sticker. My home Taobao buys a millimeter thick and works well.